I’ve been on book tour for the past three weeks, visiting over three thousand of students across 30 schools, signing a lot of books and answering hundreds of questions. 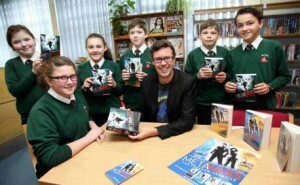 It’s been a joy and privilege to meet so many avid readers and reluctant readers (like I used to be). Who’s that on my t-shirt? My favourite part of any school visit is the Q&A. Students often ask about my writing, my books, my career and sometimes my personal life. At my last school visit, I was wearing one of my favourite T-shirts, a stylized reproduction of a vintage Superman comic book cover. These kids had literally done their homework on me and noticed that I’d blogged and tweeted about the Man of Steel before; so they were naturally curious. I explained that one of my happiest childhood memories was curling up at the bottom of my parents’ bed at 6 am on Saturday mornings to watch Super Friends. It was an honest response, but a pat answer. I paused, gave it some proper thought and explained that Superman was so much more than childhood nostalgia to me. I wear the ‘S’ for two reasons. The first is that Superman has a higher moral code than anyone else – and it’s a standard to aspire to. Had Krypton survived, Kal El would’ve been the son of a climate change alarmist and likely would’ve lived a quiet and studious life. But on Earth, he has ultimate power. We petty Earthlings know that power corrupts and that absolute power corrupts absolutely; but not for Supe. He could easily use his unchecked power to cheat in life, succeed financially, and punish the lesser people he deems unworthy of mercy or forgiveness. On his adopted planet, Superman uses his powers for good, holds down a stimulating but not well remunerated job in a dying industry, and serves as an icon of hope, positivity and second chances instead of punishing humanity’s monsters. He may be fictional but he offers a moral bar to hold oneself to. Most of us would never clear the bar, but it’s the trying that counts. Of course, the Superman origin can be seen as a Christian metaphor (and that’s cool if that’s your thing), but I believe that a moral compass can come from any book (or comic book) and not just the bible. The second reason I wear the ‘S’ is that I’m in the business of creating characters, stories, and worlds, and I want my creation to be as impactful as the Superman legend. 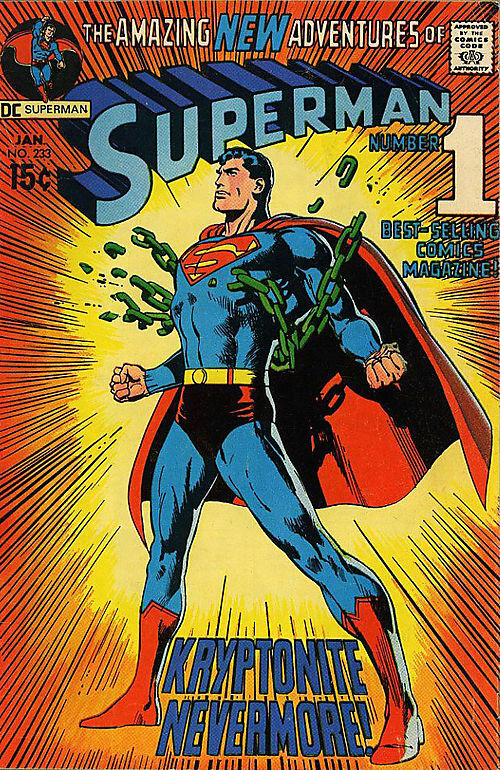 I’ve been writing for about four years (and only in market for less than two) whereas Superman has been part of popular culture now for seventy-five years. It is my ambition to create something as meaningful and compelling for tomorrow’s culture. Like with the moral bar, this longevity is the bar to which I measure all of my work. 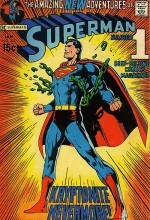 I want my creative output to survive as long as the Superman mythology. I may fail, but if there’s one thing that Jor El’s only son has taught us, is that trying to make the world a better place starts with just one person. That’s why I wear the ‘S’.